I seem to have acquired an extraordinary number of books for my personal collection in the last couple of weeks, fueled in part by the brilliant and much appreciated generosity of friends bearing bookish birthday gifts. Some wee jottings and cataloguing is very much overdue – and made urgent by the imminence of tomorrow’s trip to the Oxford Fine Press Book Fair which will hopefully result in a couple more treasures making their way to a new home in Wimbledon. 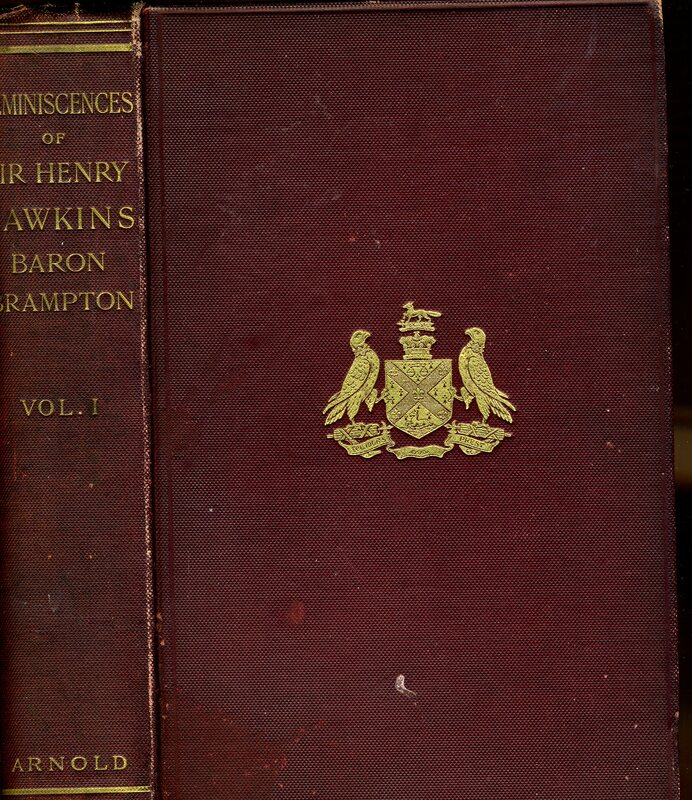 A heavy, two volume set of the Richard Harris edited Reminiscences of Sir Henry Hawkins, Baron Brampton (Edward Arnold, 1904) was one of the treasures to arrive this month, purchased from John Taylor Books via ABE. Henry Hawkins was a barrister, becoming Queen’s Counsel in 1859, who was knighted and raised to the bench in 1876 as a judge in what was then the exchequer division of the High Court of Justice. Hawkins was associated with many of the most high profile legal cases of the time, including the Tichbourne trails (which are noted in Reminiscences as “a comedy of blunders. The very claim was an absurdity, every step in the great fraud an absurdity, and every proceeding had some ridiculous absurdity to accompany it”, p. 316) and Sugden v. Lord St Leonards, a case relating to the lost will of Edward Sugden, 1st Lord St Leonarnds. It was his involvement in two more London cases, which he presided over as a judge, which peeked my interest in his Reminiscences: the trial of Louis Stanton, his brother, sister-in-law and lover for the murder of Louis’s wife Harriet in 1876 – Hawkins first major trial as a judge – and the case of Dr George Lamson, the Wimbledon Poisoner (the real one, not to be confused with Nigel Williams’ albeit excellent comic novel of the same name). Following a guilty verdict and a death sentence for all four of the accused in the Staunton trial, Hawkins attracted much criticism and was accused of showing unwarranted favouritism to the prosecution in both his handling of the case and his summing up. It resulted in Hawkins becoming known as a hanging judge – perhaps a little unfairly as at that time judges had no discretion of over sentencing once a guilty verdict had been returned against a charge of murder. A wild and prolific campaign mounted against the trial outcome, partly orchestrated by the popular novelist Charles Reade who felt Hawkins responsible for a grave injustice resulted in the sentences for the Stauntons being reduced to imprisonment and a pardon for Louis Staunton’s lover. Patrick Staunton’s lawyer, Edward Clarke, never forgave Hawkins who he considered wicked and many years later was to undermine all attempts by the Bar to celebrate or mark Hawkins’ career. These are lovely volumes, bound in heavy maroon cloth with gilt emblems and adornments. 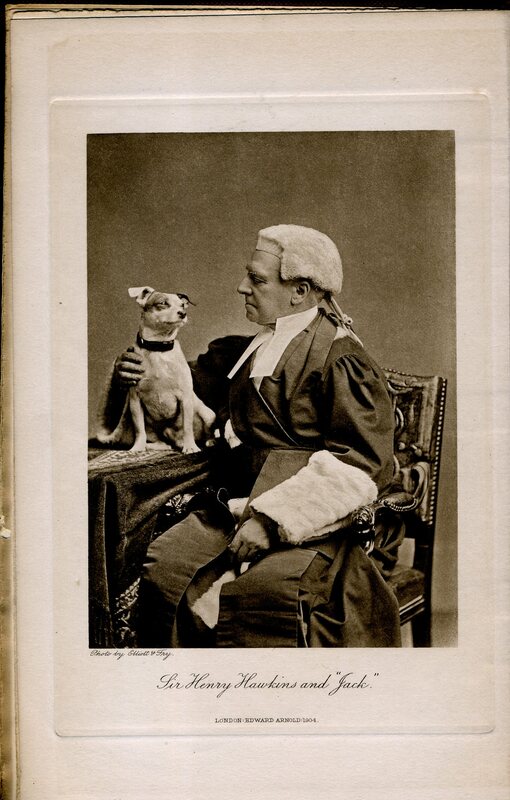 There are rather fine portraits of Hawkins to the frontispiece in each volume, that in the second showing him in his judicial finery with his faithful hound, Jack, to him he was by all accounts devoted. Two truly books have been added to my ‘beautiful books’ collection this month. The first is a real treasure – a limited edition (128/500) copy of Secret Rose. Produced by the Indie author, Orna Ross, supported by crowd funding and issued to mark the 150th anniversary W B Yeats’ birth, Secret Rose is a bold compilation (the fitting dedication is ‘For All the Writers Everywhere. Dare’). 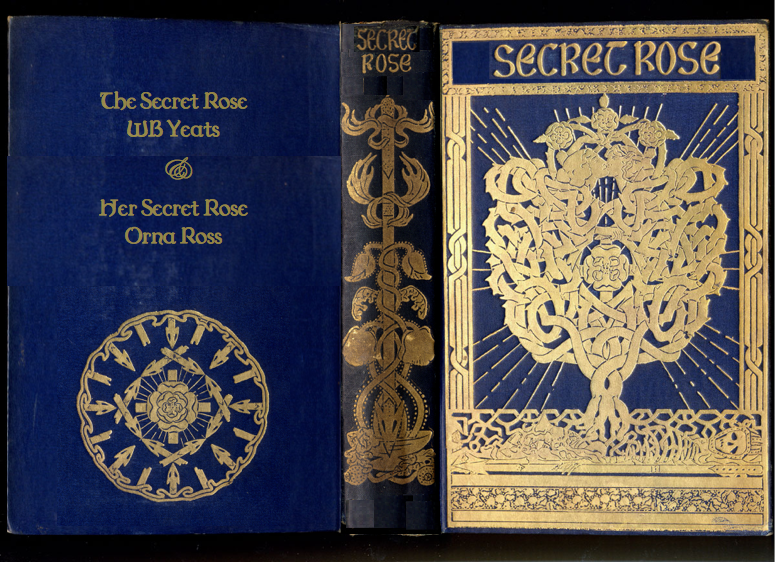 It contains a revised set of W B Yeats’ own Secret Rose stories (including two which Yeats’ wanted to include but were left out of his 1897 edition on the insistence of his publisher, Laurence Bullen) set aside part of Ross’s own novel, Her Secret Rose, an account of the love affair between W B Yeats and Maud Gonne, thus providing a biographical frame for the reader to understand what was happening on Yeats’ life as he was writing the Secret Rose stories. The volume itself is a monumental and stunning tribute to Yeats’ 1897 original Secret Rose, echoing its deep blue boards, swathes of indulgent gilt decoration, and generous and inviting layout. 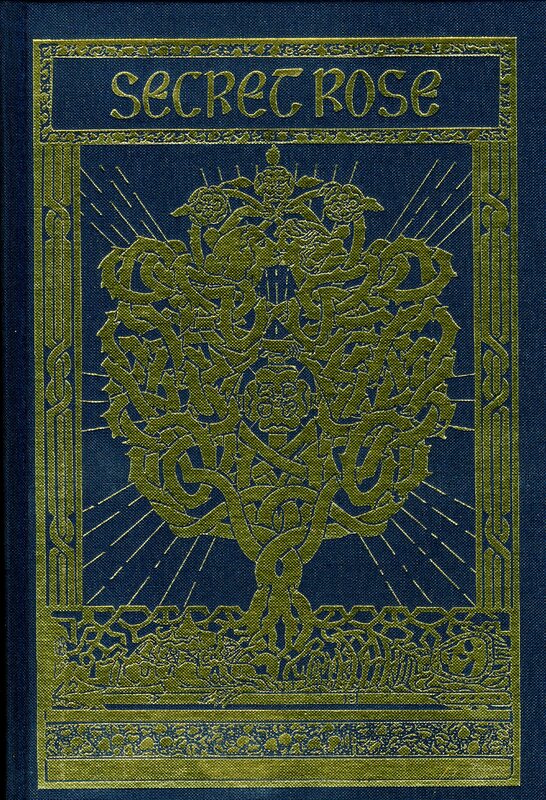 The 1897 edition was designed by Yeats’ friend, the artist Althea Gyles and, for me, Ross’s 2015 semi-replica does her complex and richly symbolic work perfect justice. In rich and intricate gilding, the front cover shows the skeleton of a knight, with his long sword, caught, perhaps entrapped, between a veil-like line; out of his loins emerges first the roots and then the branches of a highly-stylised tree which morphs into two lovers kissing, while their hands rest respectively on a cross and rose at the centre of the tree of life, evoking the rosy-cross Rosicrucian emblem. The spine is decorated with a celtic sword plunging into a chalice, full of phallic and sexual overtones of life, love and loss. And the gilding on the rear features another rosy cross with rays emanating from its edges towards a circle of spears. (For more on the symbolism of the decorations, see this article which appeared in the Bookseller). 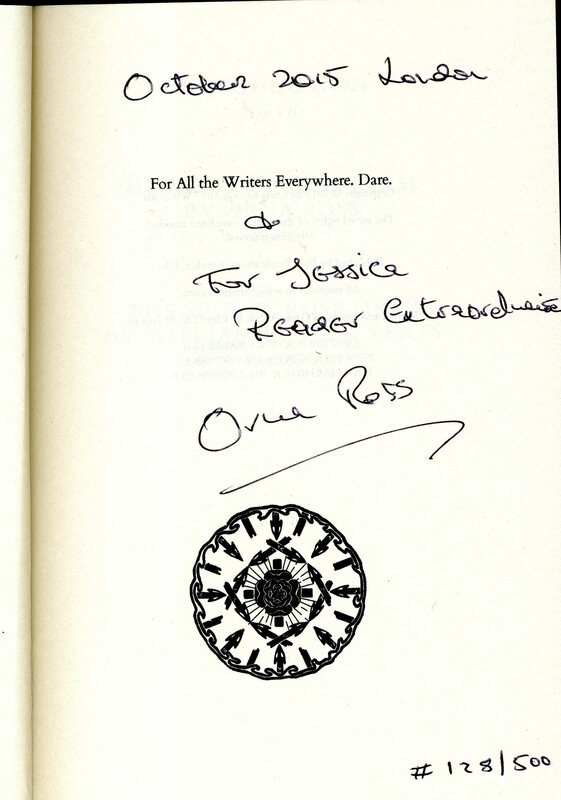 I’m utterly delighted to have had my copy signed and inscribed by Orna Ross. 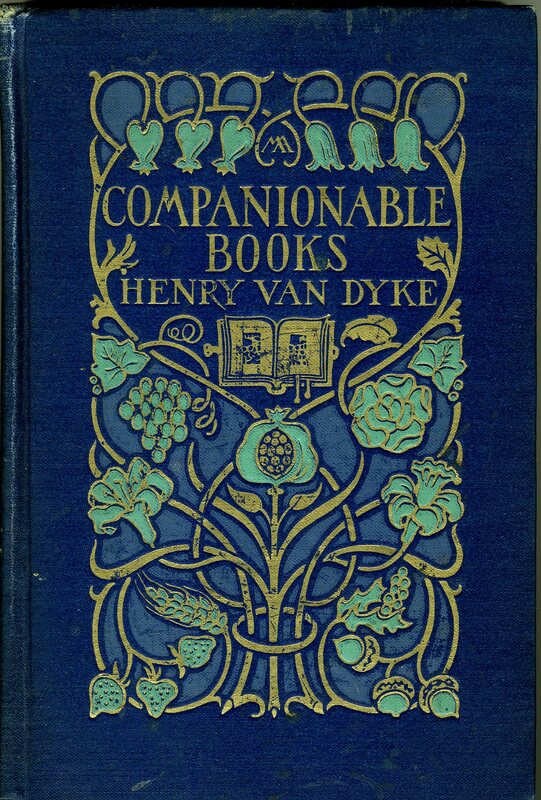 It would be hard for another book -at least any that I could afford – to match the thrill of Secret Rose but I’m still very pleased to have been able this month to add to my small but growing collection of books designed by Margaret Armstrong with an American edition (Charles Scribner, 1922) of Henry Van Dyke’s Companionable Books. Turning away from the theme of crime and justice in late Victorian London, a copy of Bradford Morrow’s The Forgers also arrived this week (this time a new book courtesy of Amazon). The blurby bits proclaim The Forgers as ‘brilliantly written…lethally enthralling’ but I can never resist a mystery set in the arcane and rarefied world of bibliomania and book collectors and it was take aspect of this novel that appealed to me. I confess I set aside all other reading as soon as it arrived and started to devour. I’m half way through and thoroughly enjoying what is an easy and compelling read, although I’m beginning to question whether the hyperbole of the blurb regarding the quality of writing is entirely justified. Also rans in the fiction stakes are Death Sentences by Ian Rankin, which promises more biblio-based stories, Game of Chance by A C Koning (although I really can’t remember what tempted me to buy this now – maybe a read a review?) Quick Curtain by Alan Melville, which was splendidly spotted in a second hand shop, for I love the entire British Library Crime Classics series! I have ranted before about the crappiness of those selling books via ‘fulfilled by Amazon‘ – and have sworn never to use the service again. This time though I really, really mean it. The book was described as being in ‘very good’ condition. 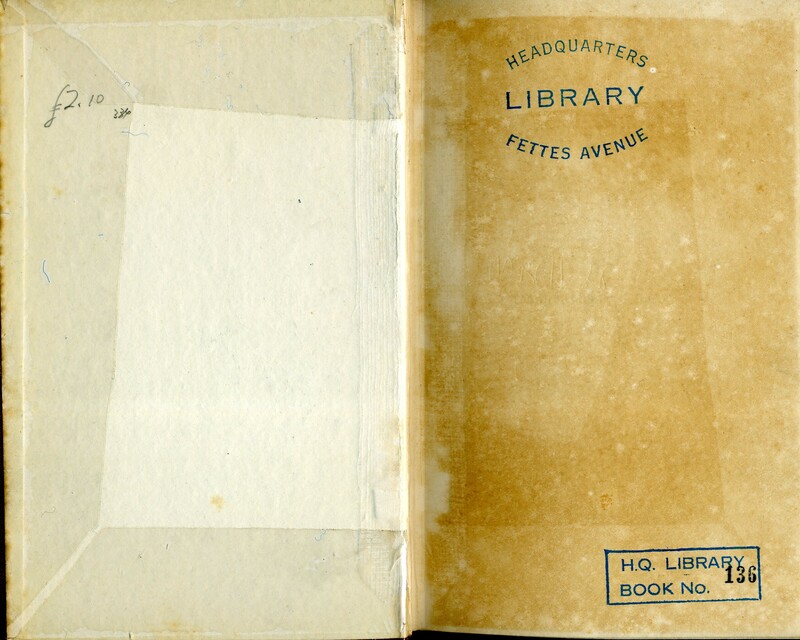 But is arrived with the title page missing – roughly torn out leaving a ragged stump of a page which no-one who even gave the book a cursory glance could have missed – a bizarre strip of dangling cardboard, rough round the edges, affixed to the rear cover – and that hateful, enormous Amazon sticky label over the bar code. If I’d been cataloguing the book it would, at best, have been graded as ‘reading copy only’ – the very lowest condition grading, as should any modern book with missing pages. But to call it ‘very good’ is a joke. But I can’t be bothered to return it – I’ll just make a note to never again buy a book from ACE BOOKS. The book itself, while certainly very cheaply produced (which always suggests to me that the publisher didn’t have sufficient confidence in the quality of the contents to make any sort of investment) appears to be a lively and engaging account of the early formation and experiences of this most marmite of politicians.